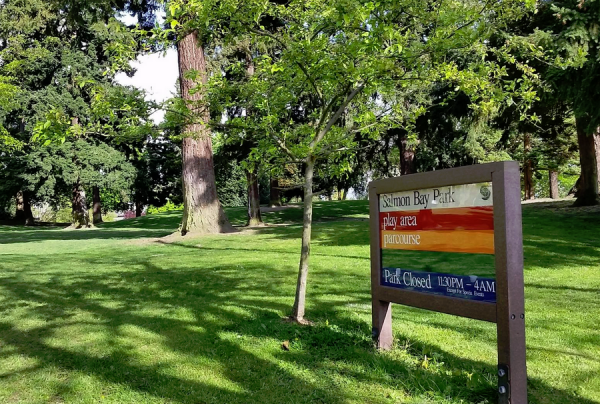 Salmon Bay Park Stewards (SBPS) was founded in 2018 by Katie Roberts and Sylvia Koodrich. 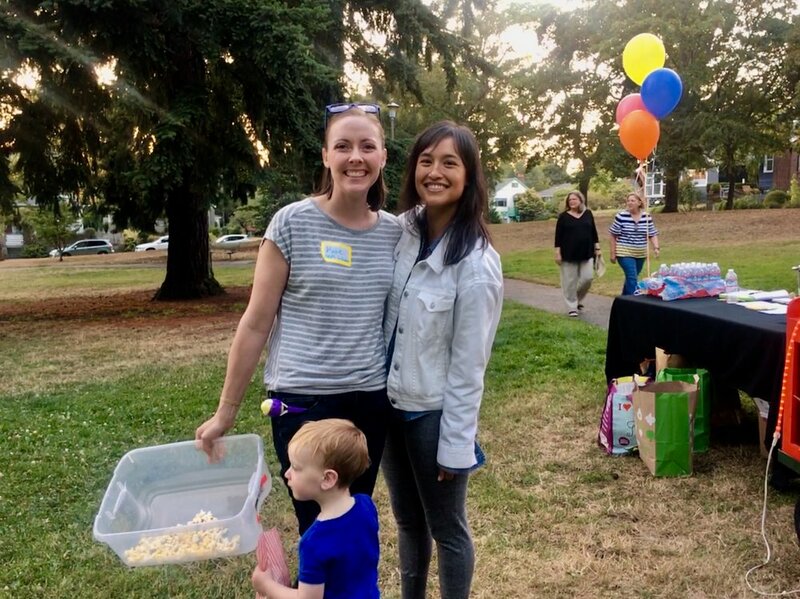 These two local, working mothers wanted to partner with as many neighbors as possible to ensure Salmon Bay Park would remain a safe, beautiful, and vibrant space that is well maintained and welcoming to all. Within the first several months, thanks to people from across the Ballard community, this group had successfully strengthened the neighborhood's block watch network and hosted a series of inaugural community-building events in the park itself, including: a neighborhood picnic, an outdoor movie night, a landscaping and clean-up party, a Halloween parade, and a winter celebration featuring Ballard High School's vocal jazz choir. 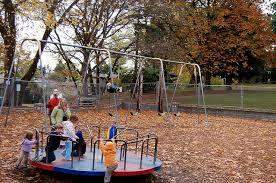 The group was instrumental in garnering neighborhood support to replace and add picnic tables and park benches in 2019 through the Your Voice, Your Choice competition and partnered with the Seattle Police Department to conduct a Crime Prevention Through Environmental Design (CPTED) evaluation which will pave the way for further safety-focused improvements on the park grounds. The group also partners with the city to provide disaster preparedness trainings and is excited to continue hosting fun, outdoor events for all thanks to your help and generosity!